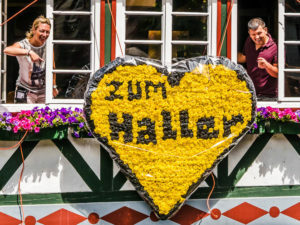 With this heart haller fans suprised us in the Johannisnacht 2018. Thousand Thanks! You want to spend a nice evening in a rustic atmosphere, delicious food and drink a (or even two) fresh draft beer from the barrel? Then you are in our traditional inn “Zum Haller” in Monschau at the destination of your wishes. 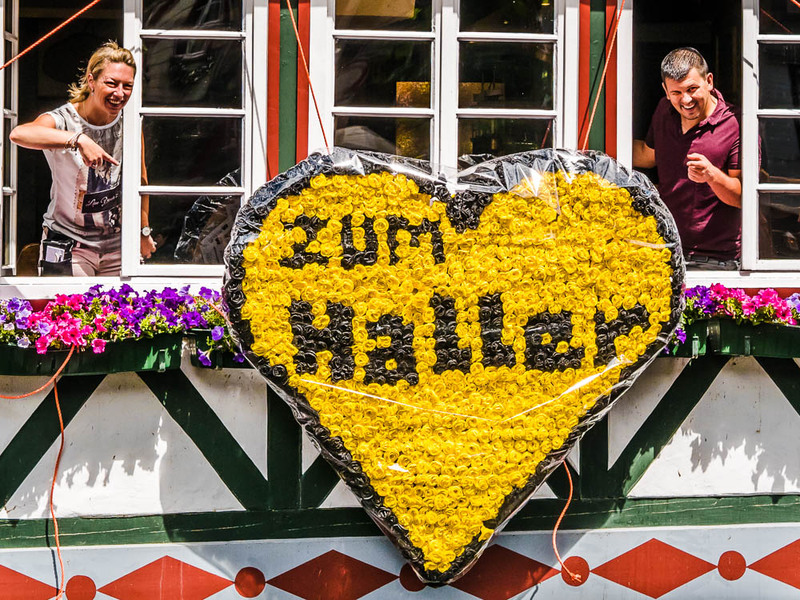 The perfect location of the “Haller” directly on the market square in Monschau with Rurblick (entrance Eschbachstraße), make it a focal point for locals and visitors from all over the world. The Haller is part of the so-called “Rurpartie”, probably the most photographed motif in Monschau. Please note: We are a traditional German Gasthaus (inn) with a small kitchen, but no restaurant. How good it pleases and tastes our guests you can find out here. And because the seats are limited in the Haller and our restaurant is always well attended, a table reservation is recommended (especially for groups)!